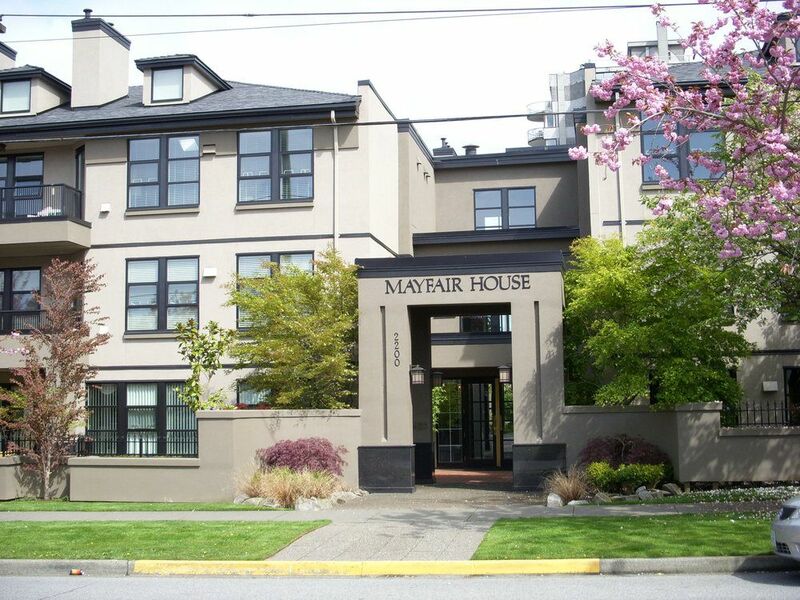 MAYFAIR HOUSE in highly sought after Point Grey. Spacious 2 bdrm. 2 bath with extra high ceilings and delightful western exposure. 5-pce. enste. in Mast. bdrm. with soaker tub. Feature gas fireplace with traditional mantle. Many updates including recent painting, window and ceiling crown mouldings throughout, newer fridge and D/W, custom blt-in wall-bed in 2nd. bdrm. plus closet shelving in both bdrms. Enjoy the privacy of the serene, treed outlook from the large balcony with new cedar deck. Exceptional amenities including beautiful interior courtyard with fountains, professionally landscaped grounds with seating areas for summer enjoyment. 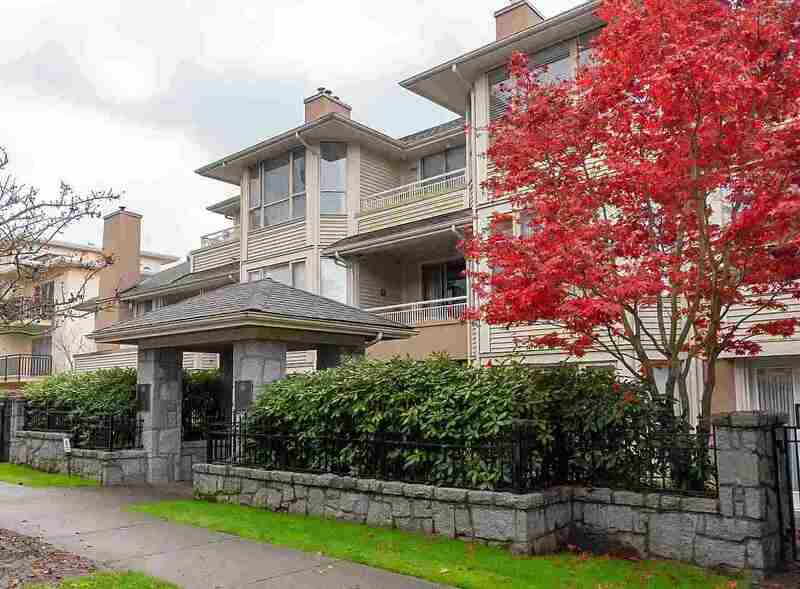 Ideal location for the beach, Spanish Banks, transportation, UBC and 4th. Avenue shopping.